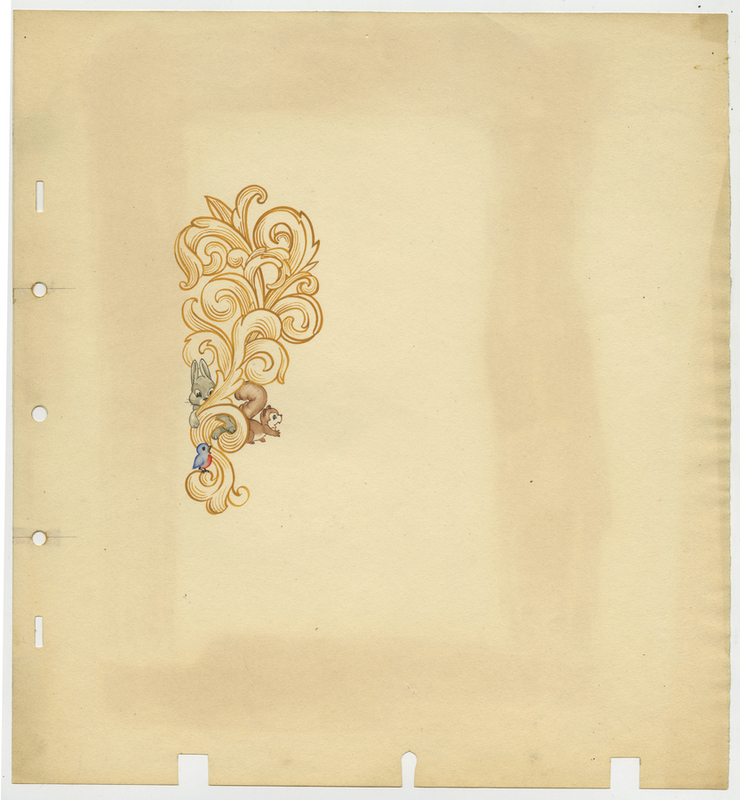 This is an original development drawing that is likely from the Walt Disney Studios production of a Disney TV production similar to Walt Disney Presents or the Disneyland television program from the 1950s. 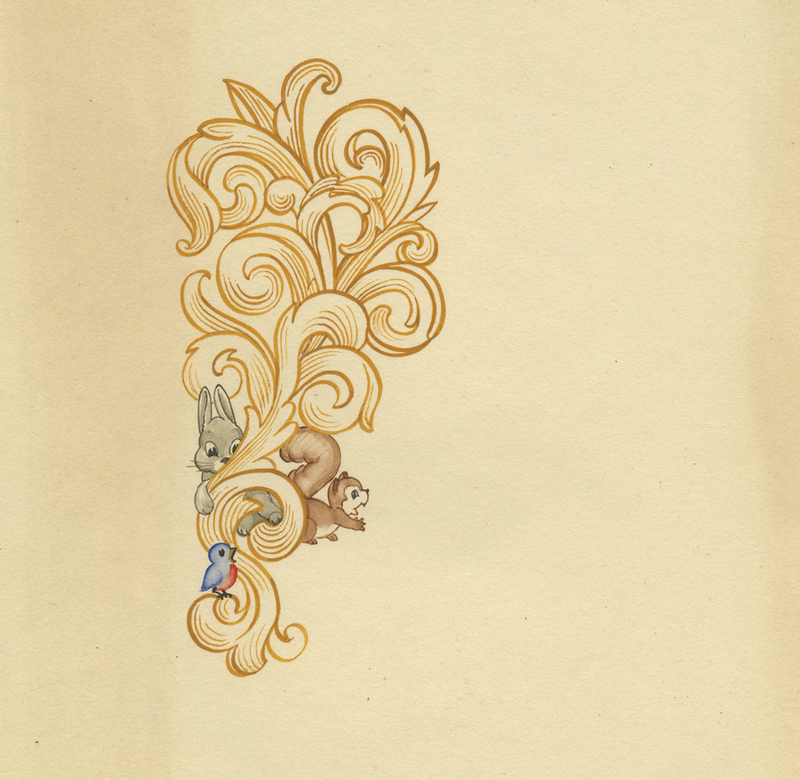 This drawing features a few Snow White type woodland creatures and a decorative scroll design and was created at the studio and used during production of a background element. The overall measurements of the piece are 12.5" x 11.5" and the image itself measures 5.5" x 2.5". The paper is in good condition with some rippling, discoloration, edge wear and additional peg holes created in a second edge of the paper.